Following Sunday’s 2-1 loss to the surging Wolues who moved into third place in the BVI Football Association League to close out weekend play, One Love continues to search for answers to their troubled season after another setback. With the victory, the Wolues leap frogged the Rebels after they lost to league leaders Islanders. Wolues’ Kevin Carragher scored on an own goal early in the first half, then eventually equalized the game at 1-1, before Leo Forte scored the game’s last goal in the 47th minute, although Wolues had several shots on goal. Defending champs and unbeaten Islanders played a tense match with the Rebels, after Fitzroy Daley scored the game’s lone goal in the 20th minute of play for a 1-0 victory. The loss dropped the Rebels into fourth place behind the Wolues, who has the edge on goal difference. 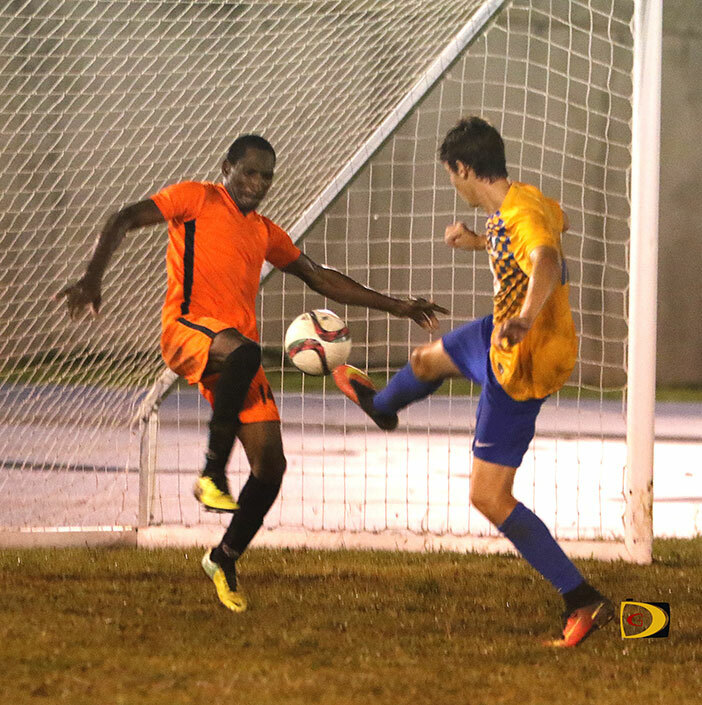 Kenmore Peters netted a hat trick and took his season tally to six in helping Old Madrid pick up their second victory of the season by pinning another loss on winless Virgin Gorda United, 5-1. Sheldon Harry and Kenrick Leslie also scored for Old Madrid. Jackson Rigobert had a consolation goal for Virgin Gorda United. In Women’s play, Laverne Fahie scored first and second half goals in leading the Avengers past the Virgin Gorda United Girls, 2-1. Jackisha Rigobert had the equalizing goal midway through the second half of the game.